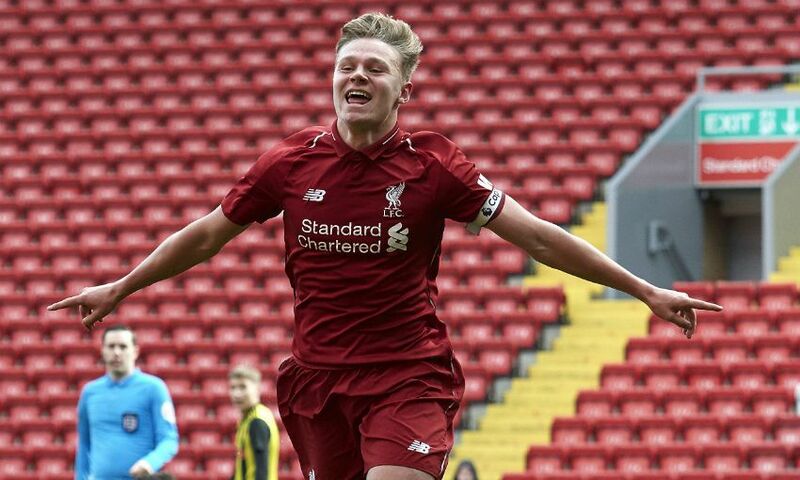 Paul Glatzel scored a brace in front of the Kop as Liverpool booked their place in the FA Youth Cup final with a 2-1 win over Watford at Anfield. 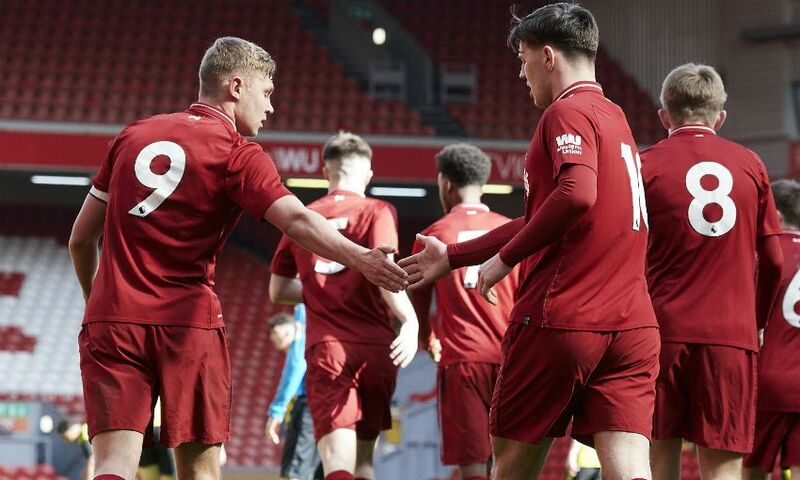 The young Reds' captain twice capitalised on excellent work by strike partner Bobby Duncan in the opening 25 minutes to send his side to the showpiece of the tournament for the first time since 2009. 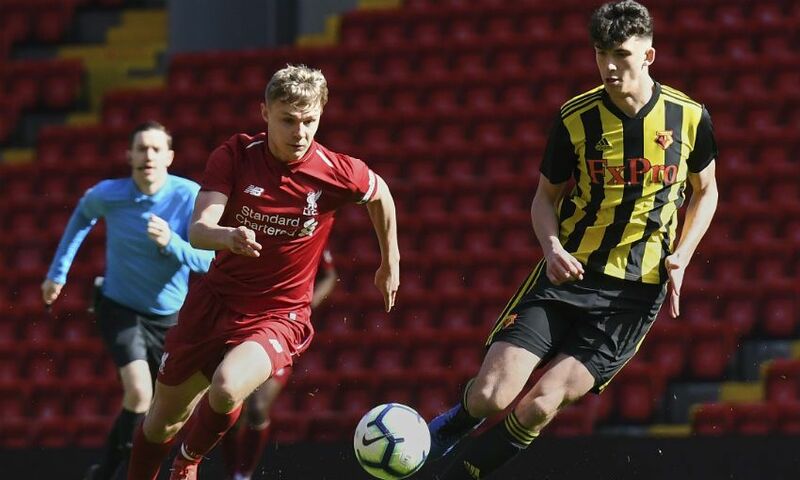 Ryan Cassidy pulled one back late on for Watford, but Barry Lewtas' side held on and will now face either Manchester City or West Bromwich Albion, who contest the other last-four tie on Monday April 1. 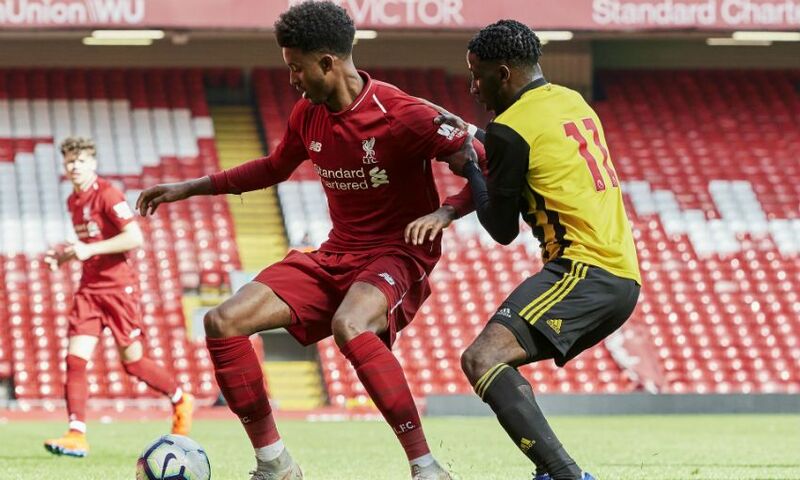 Lewtas made four changes to the U19s team that was elimiated from the UEFA Youth League in midweek, with Luca Ashby-Hammond replacing injured goalkeeper Vitezslav Jaros, and Yasser Larouci, Leighton Clarkson and Elijah Dixon-Bonner returning after helping see off Bury in the Youth Cup quarter-final. 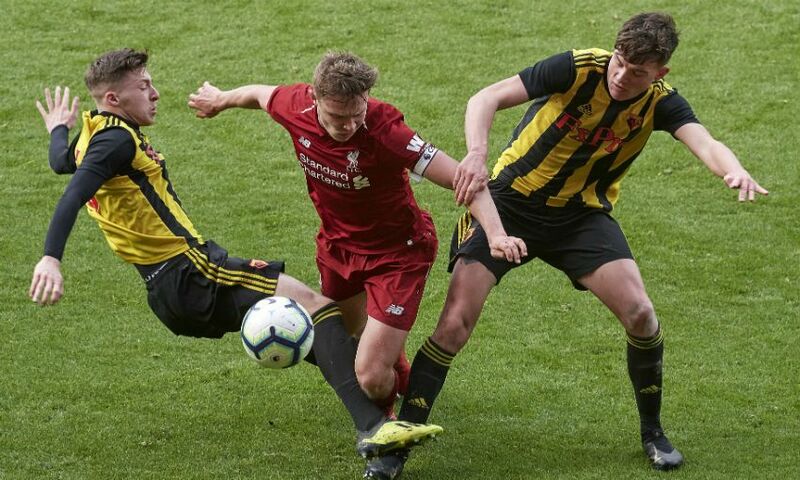 Kicking towards the Kop, Liverpool started well in the Merseyside sunshine as they prodded and probed Watford's defence, but it was the visitors who mustered the first shot on target when Sonny Blu Lo-Everton brought a routine save from Ashby-Hammond with a long-range effort. 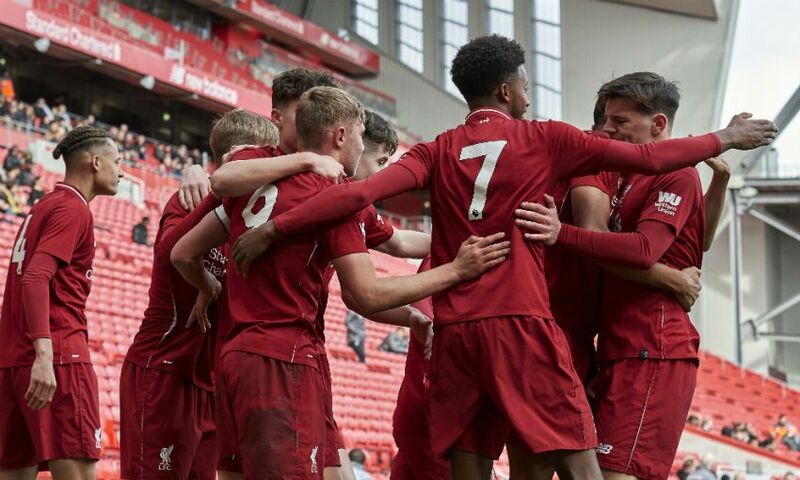 But on their big day at Anfield, the young Reds responded immediately with a burst of pressure and only a last-ditch block in the box denied an early opener for the prolific Glatzel. The skipper's first goal of the afternoon arrived soon after, though, when he was on hand to finish off from Duncan's marauding run in the 10th minute. 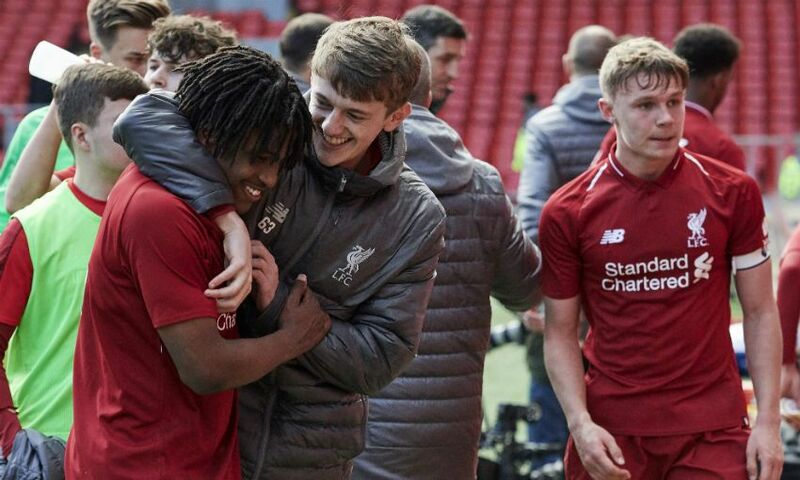 Liverpool's Scouse No.10 got the better of centre-back Harry Hudson as he chased a long ball and then appeared to be felled as he rounded goalkeeper Dante Baptiste. No decision needed to be made by the referee, however, as Glatzel was there to pounce on the loose ball and finish on the slide from three yards out. The hosts were now exerting a measure of control and Neco Williams drew a gasp from the crowd when his long-range drive flashed wide of the post. 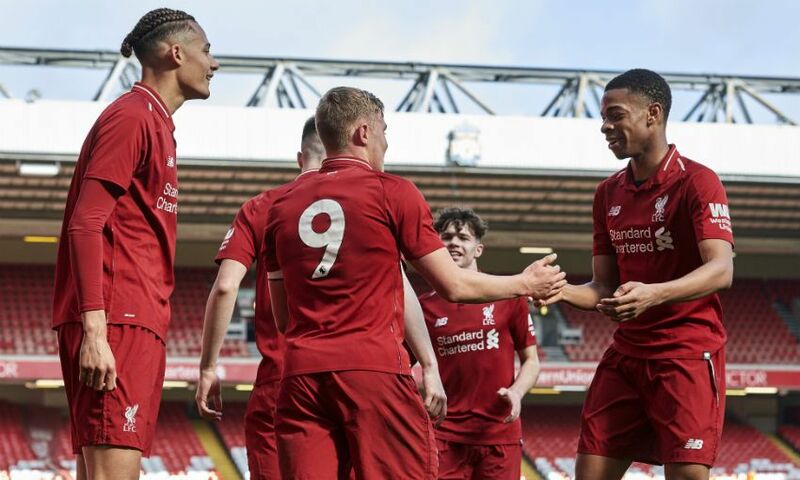 It seemed only a matter of time before Liverpool doubled their lead - and Glatzel duly obliged with 25 minutes on the clock with his 28th goal of the season. Midfielder Clarkson launched the attack by racing down the left flank and Jake Cain caused chaos when he rounded the goalkeeper out wide and crossed to Duncan, who saw two efforts cleared off the line before Glatzel bundled the ball into the back of the net. Duncan staked his claim that the ball had already crossed the line before his captain made sure, but could have got his name on the scoresheet for certain minutes later when he placed a side-footed shot just the wrong side of the post. The Hornets rallied towards the end of the half and squandered a good chance to cut the deficit moments after the break when Cassidy found space in the area but screwed his shot wide of the far post. 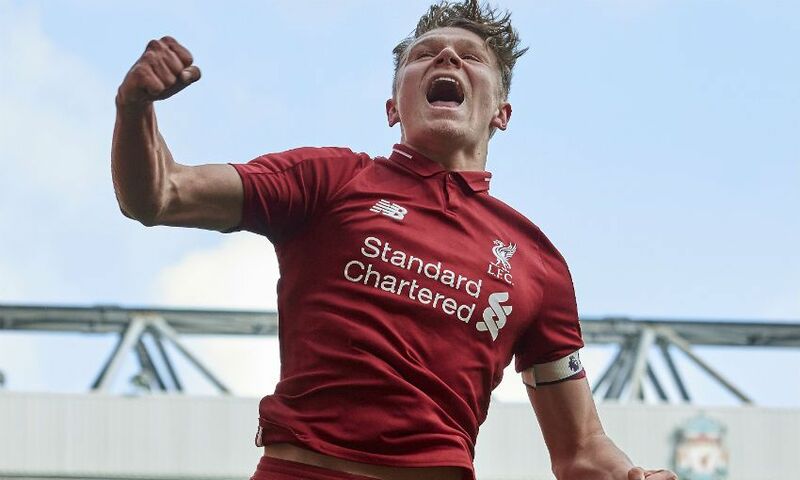 Once again, Liverpool found an instant response and only a point-blank save from Baptiste denied Glatzel from heading in his hat-trick goal at the end of a flowing move. 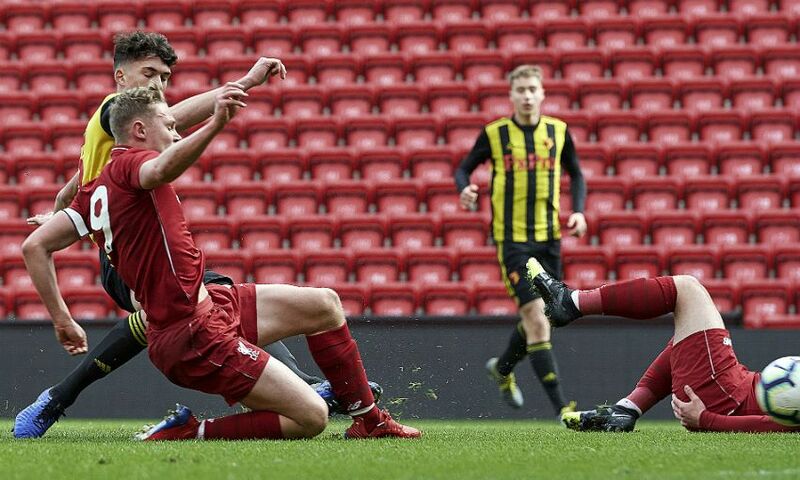 The young Reds maintained their dominance and produced a flurry of chances as the game passed the hour mark. 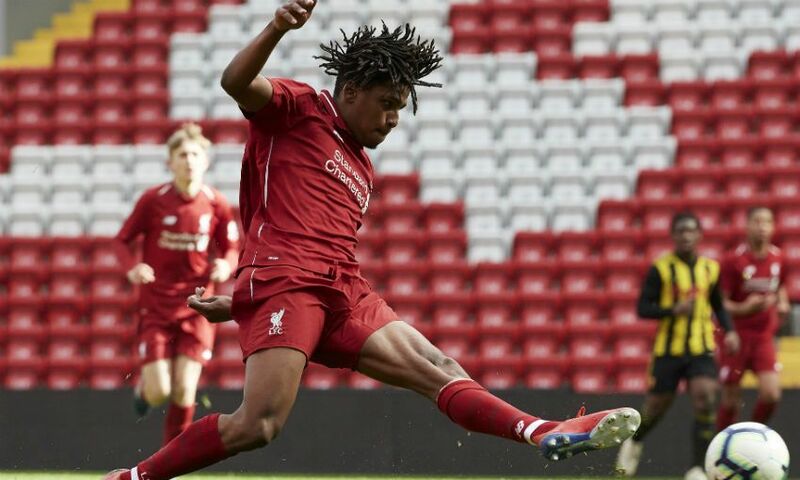 Larouci carried the ball to the edge of the box and passed up the opportunity to shoot to square the ball to Duncan, who curled an effort narrowly wide. Baptiste denied Glatzel and then Duncan in a one-on-one to keep his side in the game before Larouci popped up again and this time thundered a blistering shot onto the crossbar. More opportunities came and went for Glatzel and Duncan, but Baptiste in the Watford goal continued to make his case for Man of the Match. Then, with 10 minutes to go, the visitors got the goal their battling endeavour deserved when captain Cassidy fired into the roof of the net at the Kop end. 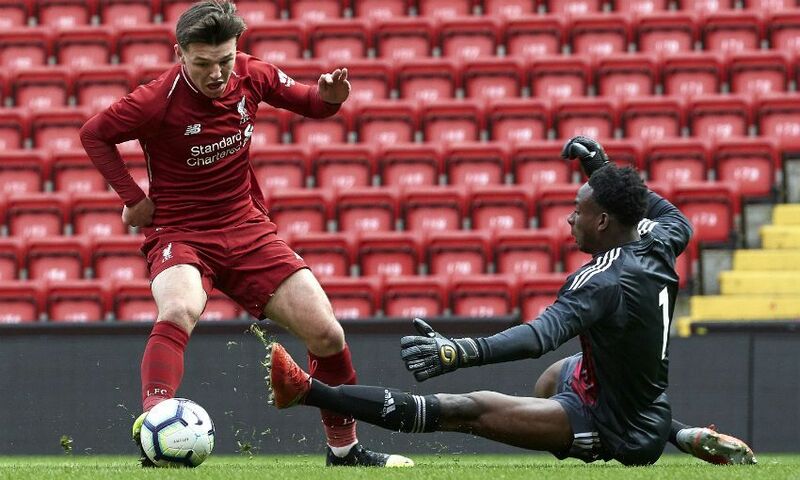 A few nervy minutes ensued as Baptiste pulled out yet another save, this time to deny Abdi Sharif from the angle, in the closing stages but the young Reds held firm to secure a deserved win. 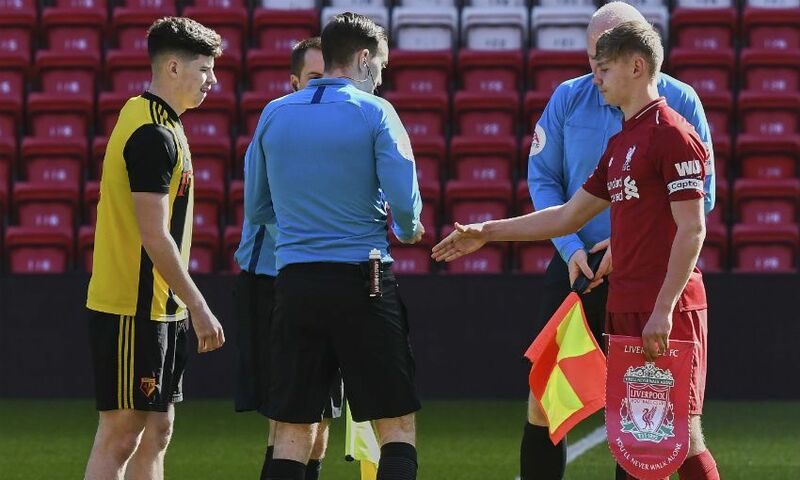 Liverpool: Ashby-Hammond, N. Williams, Larouci, R. Williams, Boyes, Clarkson, Sharif, Cain, Glatzel, Duncan, Dixon-Bonner (Longstaff, 70). Unused substitutes: O'Rourke, Kelly, Ritaccio, Walls.